Truecaller Insights Special Report on Friday rated Nigeria as the 9th most spammed country in the world. The Marketing Manager, Truecaller, Ms Lindsey Lamont made this known in in Lagos. 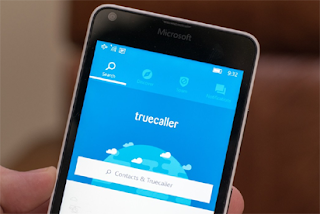 Truecaller is an identification solution application company aimed at ensuring safety of mobile users. Lamont said that top 20 countries affected by spam calls were India with 22.6 per cent, USA and Brazil with 20.7 per cent each, Chile 17.4 per cent and South Africa with 15 per cent. She said that Mexico was the sixth affected with 12.2 per cent, Turkey and Peru also by 12.2 per cent, Nigeria with 10.4 per cent, Egypt had 9.9 per cent, UK and Myanmar with 8.9 per cent. Others are Italy 8.8 per cent, Indonesia, Bangladesh and Greece with 8.5 per cent, United Arab Emirates 8.2, Puerto Rico 7.9 per cent, while Morocco and Kenya by 7.7 per cent. According to her, similar to its regional partner Kenya, Nigeria also has an issue with spam calls, but is plagued more by calls from operators. The analysis showed that one major problem around spam calls in Nigeria was calls from telecommunications operators, which accounted for 61 per cent of the total reported spam calls. She said that telecommunication companies make these calls to up sell data plans for promotions, among others. Another major spam call problem that Nigerians had to deal with was the nuisance calls representing 27 per cent. The marketing manager said that those calls were a broad spectrum of calls, and were generally unwanted calls which were disturbance to users meant for harassment and pranks. Nigeria also had an issue with scam calls, but on a noticeably smaller scale of 10 per cent. She said that the scam calls were for fraud attempts, money swindling, leading unsuspecting preys to unknown links, among others. Nigerians also had a problem with telemarketing calls, which stood at two per cent. Lamont said they were promotional calls from companies, surveys being done by analytic firms on behalf of their clients, political/robo calls, or new client outreach for services and subscriptions. “Isn’t it the best feeling when Truecaller blocks a spam call or SMS? It is like you finally won the fight against spam. “But, as we all know, sooner or later you run into a new spammer, and some countries have run into spammers more than others. “Scams have been on the rise around the world, and can become easy to target those who are caught off-guard by a phone call or SMS,’’ she said. Lamont said that the data were aggregated anonymously from incoming calls that had been marked as spam by users. She said that they were also data that had automatically been flagged by Truecaller during the period of January 1, to May 31, to understand the monthly average spam rate. According to her, during this period of time, Truecaller users received more than 5.5 billion spam calls.